I take all my book reviews seriously. You can learn a lot from a poor review or an in-depth critique; they can tell you what you’ve failed to put over properly – I should know, and this one hit a nerve. First of all, I look at the reviewer’s other reviews to see what their ‘norm’ is. This particular reviewer had given similar ratings and made similar comments to a number of books, so she obviously has an issue with this type of character. Ok, no problem, but it was a shame she stopped reading at 30% or she’d have discovered why my characters are so flawed, why these flaws are integral to the plot, and could have watched their character arcs develop. The fact is that all my characters are flawed in some way – our flaws are what make us human and forgiving, and what makes fictional characters seem real – I don’t ask my reader to like my characters, to be honest I don’t like some of them myself – they’re my alter-egos and as such a bit scary, but I do attempt to show why they are who they are so that the reader understands them, which can be a bit of a challenge sometimes, and perhaps that is where I failed for this reader. Walt, in Touching the Wire, was a self-confessed coward, but a brave selfless man wouldn’t have acted as he did – had there not been millions of men like Walt, the need for the story wouldn’t exist – there wouldn’t have been a Holocaust. Alaric and Velik in Where Hope Dares are as much a product of their society, brain-washing, and their childhood abuse as some of my other less likeable characters. Not pleasant people at all. John and Harry, and Harry’s mother, Jane, in On Different Shores, (Book 1 of For Their Country’s Good trilogy), are also products of their time, moulded by the hardships of a farming life in Victorian England, sexual frustration, and social climbing. Ella, my heroine, does some very questionable things in the name of love. She is not entirely selfless in her actions. Bill, in The Dandelion Clock, is a victim of his own moral code and makes promises he can’t hope to keep. Does that make him bad, foolish, or naïve? And Joe, Florrie’s father, is altogether nasty, but there are reasons even if his actions are unforgivable. Which brings us back to Alana and Rhiannon, in The Silence of the Stones, who I suspect are the characters my reviewer found juvenile and unpleasant. The prologue hints at the source of Alana’s selfish and self-centred view of her world, and anyone who has lain awake as a small child and listened to their parents shouting at one another night after night will know the effects that has on a person. It isn’t something you forget or easily let go of. ‘Katherine pulled the duvet over her head and pressed her hands over her ears. Her parents’ raised voices carried through the floorboards and made her curl into a tight ball. It hadn’t always been like this, though she couldn’t remember when the shouting had begun. She took her hands from her ears. You can go two ways – you can do as I did and become a mouse who feels responsible for their parents’ happiness, guilt ridden and insecure, or you can do what I perhaps should have done, put my own and my husband’s happiness first, cut the apron strings, left my mother to her own devices, and followed my dream as my alter-ego, Alana (Katherine Alana Harper) does. You see, I understand Alana: she is the person I could have been had I had the courage and lack of conscience she has. Rhiannon is a different kettle of fish, and you’ll have to read The Silence of the Stones to discover what drives her and why she is so eccentric – that’s being polite about her, by the way – she’s a very disturbed individual, but to tell you why would give away too much of the plot. Don’t judge her until you’ve walked for 200 or so pages in her shoes. Interestingly, today, I found this review for The Silence of the Stones on Amazon. I quote it below because it mentions Alana as self-centred, which she is, but this reader read on. I got this book as an Amazon freebie a couple of years ago and promptly forgot all about it. Having run out of things to read, I went searching in the depths of my kindle for anything I might have missed, and found it. I’m so glad I did. The story was a little slow to get going, and the main protagonist didn’t draw me in at first, I found her a little too… self-centred. It was the well-drawn secondary characters I began to like. Then as a little backstory was revealed, I found myself enthralled. Every time I thought I’d figured out who had done what to whom and why, the plot took a sharp left turn and abruptly nothing was as I’d assumed. Sorry I kept you awake until 4.45am! When Alana is left a cottage in West Wales by an aunt she didn’t know existed, she grabs the chance to leave her old life behind and follow her dream to be an artist and sculptor. Her arrival in the tiny village causes ripples that have far-reaching effects. The village has a dark secret and the inhabitants close ranks against her as her past catches up with her and threatens to overtake her. Can a fire and three deaths be coincidence? Strange signs are left on her door and carved into ancient stones. Someone, it seems, is out to get her. 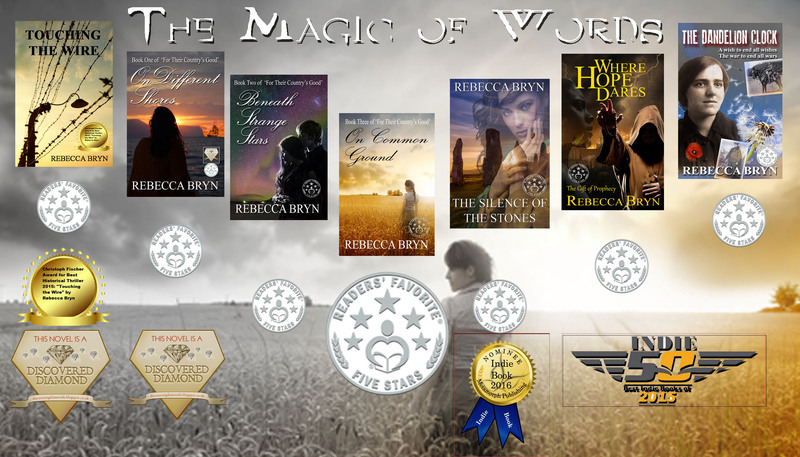 Can she unravel the secret written in the stones in time to save those she loves? I understand as I just had one of my characters accused of playing head games with the male lead. Yep. She did. No question about it. I suspect part of the problem is the reader not having trust in the author, and that’s hard if they don’t know and love the author’s writing. Sometimes, you just have to go along with it and see what happens. You can’t please everyone, however. “Pressed This” to share on my site.